SYFY channel and Spooked TV go 7D for The True Story of the Exorcist. SYFY channel and Spooked TV use Canon 7d on paranormal DocuDrama, "The Haunted Boy, The Secret Diary of The Exorcist from filmmakers The Booth Brothers . Utilizing its small size but Robust picture allows for smaller motion control and low light applications. The 7d, is excellent using manual lenses such as our older classic Nikons and Zeiss, pimped out with shoulder rig and a Juicelink, matte box, follow focus, its quite a great handheld choice for run n gun and smaller rooms, where lighting and big rigs would be awkward. 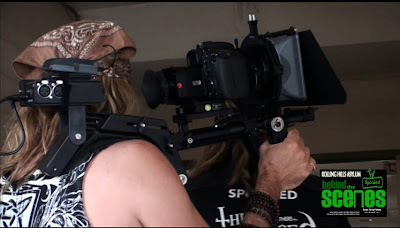 Loving DVXUSER as a great source of info for us we also wanted to share this experience with other independent filmmakers , the teaser- trailer shows footage mixed in with RED and EX1r with a Cinemek G35 and behind the scenes . The film is due out OCTOBER 2010 on SYFY. Cheers, Rock on Canon users! The Haunted Boy, The Secret Diary of The Exorcist Teaser. The True story about the the case in 1949 St. Louis, MO that inspired the novel and the blockbuster horror film, The Exorcist. 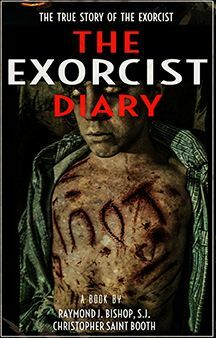 In 1949 there was a secret diary written about the events of the infamous exorcism and its cause and effects that remained hidden for 25 years. 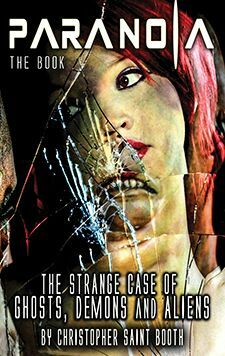 Uncovered, it reveals shocking new evidence and insight into one of the scariest stories of all time! Award winning Documentary Filmmakers, The Booth Brothers and Paranormal experts retrace and visit the actual haunted locations including the rooms of the exorcism, the asylums, the houses and speak to the relatives of the boy, the priests and eye witnesses.